Already own a home in the Bay Place subdivision? Thinking of selling? Click here and read about current search trends & our web network. Bay Place in Fairhope is reached from Scenic Hwy. 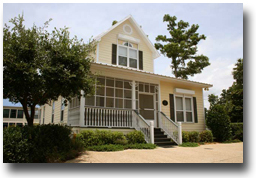 98 and is just minutes from the downtown Fairhope business district. This community has homes that are directly on Mobile Bay and homes with views of Mobile Bay and is just past Gambino's great Italian restaurant. This subdivision is close to most all of the entertainment venues in Fairhope and a short drive to Mobile and Pensacola, FL, both if which have regional airports. If you need further info, have questions or would like to schedule a viewing for any of the homes for sale in Bay Place or any other properties in the area, please email info@condoinvestment.com or call (251) Area-Pro (251-273-2776) for immediate assistance.